This is a GIFT VOUCHER for our DOLPHIN SANCTUARY & SHIPS GRAVEYARD KAYAK TOUR and does not have a specific date associated with the purchase. The lucky recipient can chose a date from our booking calendar and book online or over the phone with the voucher number. After completing the purchase an electronic voucher with voucher number and basic details will be emailed to you automatically. This can be printed or given electronically by forwarding the email. The name/s of the lucky recipient/s and a special message can be added during purchase in the appropriate fields under your payment details. The payment details are that of the purchaser not recipient. If you do not place a recipient name in the required field the system automatically enters the purchaser's name. If you are not happy with the text on the electronic voucher please contact us as we can edit this and resend. We know the importance of a gift being just right! The Dolphin Sanctuary is a "wetland of national significance", one of Adelaide's "secret spots" and an area of incredible beauty. Here you can see a fascinating array of marine life, birds and the Port River Dolphins. The Ship's Graveyard is a unique feature of the area with over 20 "wrecks" to view. All of this makes for a sensational kayaking adventure. 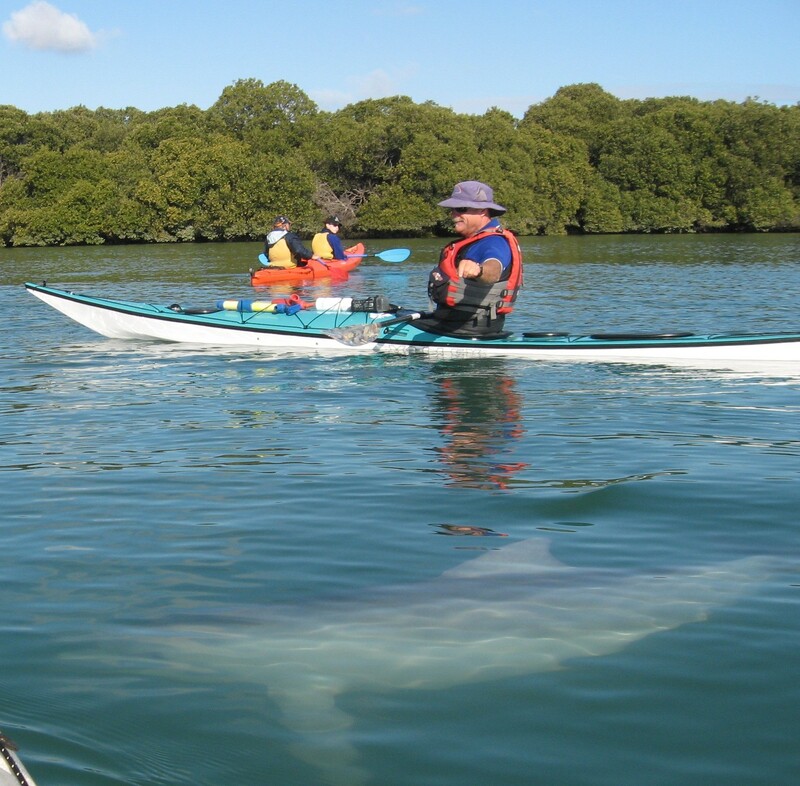 Kayaking is the most environmentally sensitive way to explore and interact with the dolphins. 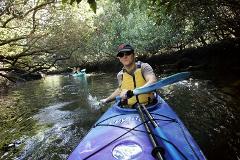 If you have been thinking about kayaking this is the best way to give it a try. Tours are easy paced with plenty of stops along the way for sightseeing, photos and storytelling by your guide. A briefing on skills and safety is included and we launch on a ramp covered with non-slip matting.. with care you won’t even get your feet wet! Guided tours are suitable for all ages and levels of experience.